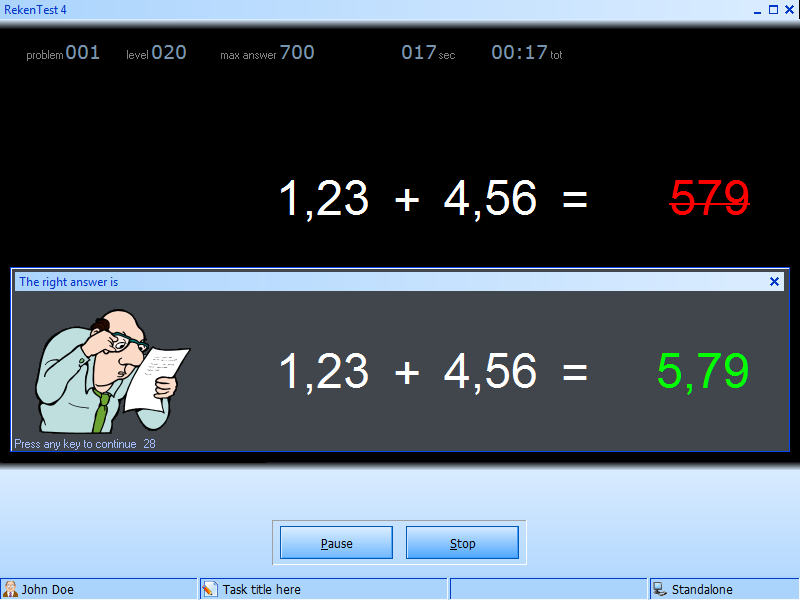 RekenTest is open source educational software to practice arithmetic skills. It supports basic arithmetic operations like addition and subtraction, the muliplication tables and so on, as well as more advanced arithmetic operations like decimals, money problems, percentages and fractions. The software can be used for classes or as a homework helper. It has lots of options to create the lessons you want and lets you organize your classroom with tasks and groups. Available in the languages English, Spanish, Portuguese, Dutch and Turkish. Make and explore symmetric illustrations, tilings, and tessellations. CalculPro to practise mental arithmetic?s or fractions. A-PDF Restrictions Remover 2.8.5: Remove password and restrictions of PDF files in a few seconds. ArtIcons Pro 5.49: You can create, edit, import, export and find icons and manage icon libraries Icon to Any 3.27: A slim wizard converts Windows icons to images and cursors for use on webpages Soft4Boost Burning Studio 5.5.9.245: Burn various data onto DVD/CD/Blu-Ray discs with Soft4Boost Burning Studio.